The Festa della Musica is over now, it was a really nice event, much to learn from if i am to improve it for next year! I’ve got pix which i’ll post separately! 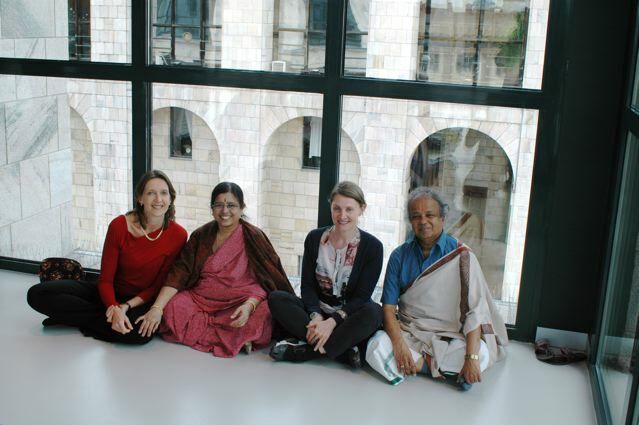 Another thing…joined Ashtanga Vinyasa Yoga classes at the Museo del 900 with Elena De Martin & Mi.As.Yo. Milano Ashtanga Yoga – it was 75min classes during the lunch hour every Tuesday…first session started on April 24 and last class ended on 12 June…the location was amazing to say the least, we were in this glass room with funky lighting…with the most amazing view of the Duomo right in front of us! What more would one ask for? And lastly (!!!) phew 😉 – i am now holding weekly yoga classes in the park…1st session was tonight, 19.30-20.45 at Parco Palestro/Giardini Pubblici Indro Montanelli/ it’s got a few more names, but these 2 are the ones i can remember! So if you’re in the neighborhood, come on down! The next one is likely to be held on Monday 9th July – same place! Pix from tonight’s session also to follow! As you can see there’s quite a few pix to upload…so i will start with the ones from the Museo del 900! More pics for this entry to follow soon! This entry was posted in Ashtanga Vinyasa Yoga, Ashtanga Yoga, Corsi di yoga a Milano, Milano Italy and tagged dalai lama a milano 2012, festa della musica, festa della musica 2012, giardini pubblici indro montanelli, healthy-living, journey to enlightenment, parco palestro, yoga, yoga al museo del 900, yoga al parco. Bookmark the permalink.